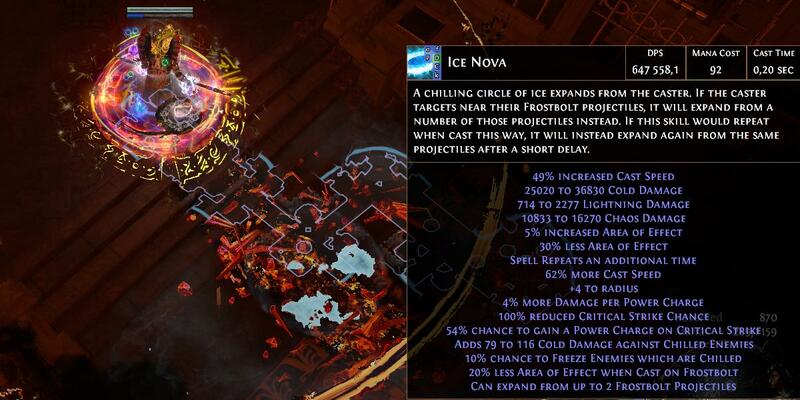 Welcome to the build to my Low Life Ice Nova Occultist, this is just a iteration of Mathil builds. It's quite unique because we're using Eber's Unification to get that 8% conversion as well as -40% chaos resist from Void Gaze + ascendancy and bunch of other cold-chaos conversion from multicrafted staff. Fun note, according to pob, this build does around 60% more dmg than Mathil did in his video and still can be improved with some Pandemonious amulet. Do not recomend this build for new players. This is pretty much just draft of my approach to this build, I m still playing this league, improving it and collecting 36 challanges, so yeah. Feel free to experiment, highly suggest doing Low Life version of this build, it's quite fun. This little fun purple cone effect is Void Gaze from helmet I use, Eber's Unification. So the rough idea is to stack Cold damage and convert it to chaos and utilize alot of -chaos/cold resistance from Void Gaze and Void Beacon. Void Beacon -20 cold/chaos + Void Gaze -20 chaos resistance + 45 cold resistance from Frostbite. 8% Eber's Unification + 16% + 8% Cold to Chaos conversion from multicrafted staff(total 36%). On 5 link drop Hypothermia or Conc/Inc effect. On 5 link drop Conc/Inc effect. If you want play budget version of this build I suggest getting Pledge of Hands, it gives free link 30 level Spell Echo. On 5 link use Slower or GMP, depends on your playstyle, for map clear I used GMP on bosses Slower until I got 6 link Shavs. Look for Eclipse Staff base it has to be Shaped and minimum ilvl 75, but you get 80 to get higher rolls. If you didin't buy 6 link and you want to do it by your own, use Perfect Fossil to get 30% quanity and then craft +14% quantity on it. With 46% quantity, linking it is average 700 fusings, just get lucky. Once you get it 6 linked it's time to do some proper crafting. Get alot of alt's and spam it to hit Socketed Gems are Supported by level 16-20 Power Charge on Critical strike. Once you got it, you need to use regal to make it rare. Next step it you need to use annulment, to have only this mod, so get your luck and slam that 50%. Clear rare staff with Socketed Gems are Supported by level 16-20 Power Charge on Critical strike can be multimoded now. Now you can have fun crafting mods on it. I suggest looking onto PoB and try to use different mods. How do I sustain mana? 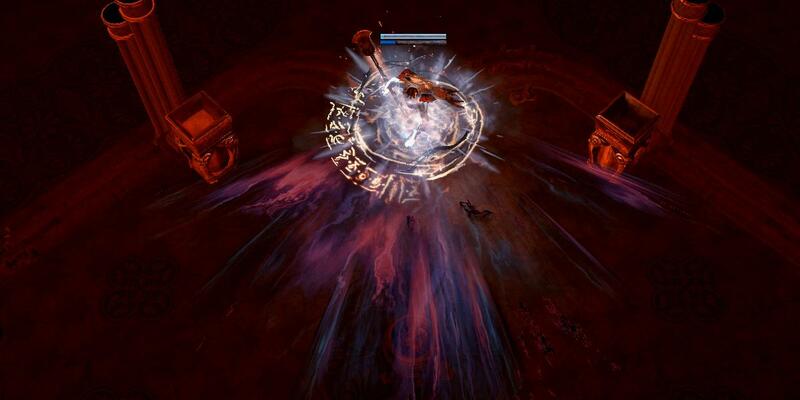 Warlord's Mark is must, you can use it with Herald of Ice setup and drop Onslaught on it. Clarity helps alot as well the perk from Watcher's Eye. Easly, just learn to dodge, this character rewards you in damage, but you need to focus and react to enviroment. Thank you for this build, I am very interested in starting it in HC. I was hoping if you have some time to do a leveling guide/tips with tree suggestions. I am guessing we level with Frostbolt until Spell Echo at lvl 38? What about good levleing items at lvl 38+? HC could be rough, I played this as a starter and it was quite gimmick. Probably Freezing Pulse is better than Frostbolt until Spell Echo. 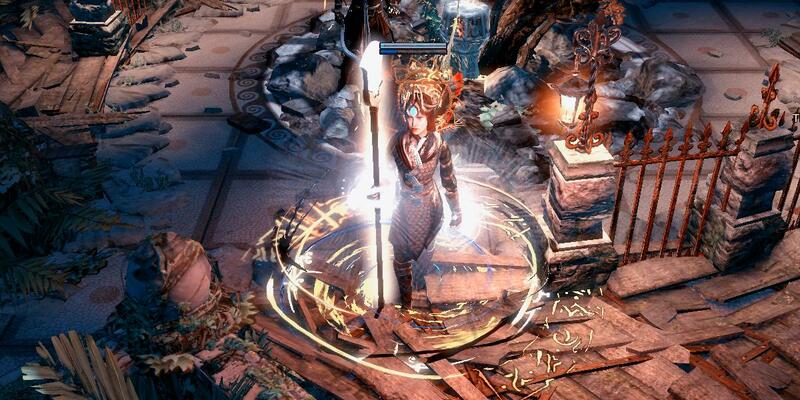 There is no good budget staffs for leveling, so I m suggesting just get you wand and shield until yellow maps. Just basic leveling gear as any caster. Frostnova scales insanely with items, without? It's quite rough, I would say it's a little bit clunky due to using 2 spells, mana cost and slow casting speed, but it's fun and rewarding for sure.